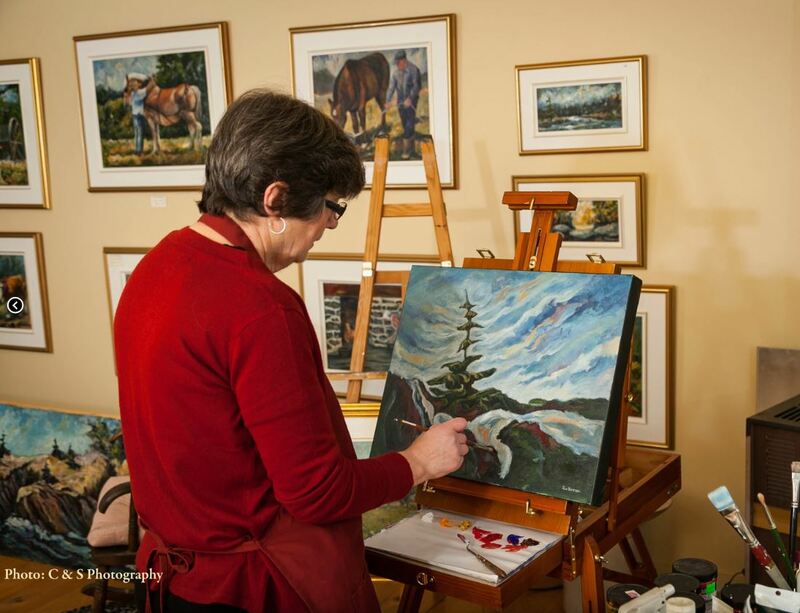 June Deveau Galerie Studio, located in Saint-Alphonse, one of the many vibrant Acadian communities of Clare, on the Southwestern coast of Nova Scotia. Also known as the ” French Shore”, the communities here are deeply rooted in Acadian traditions related to art, culture, food and music. This is where my inspiration comes from, and I have lots to share! La galerie et studio June Deveau – situés dans le village de St-Alphonse, une des nombreuses communautés vibrantes acadiennes de la municipalité de Clare, sur la côte sud-ouest de la Nouvelle-Écosse, affectueusement nommée la côte française. Ces villages sont fortement enracinés dans les traditions artistiques, culturelles, culinaires et musicales de l’Acadie. Mon inspiration émane de là et je veux la partager. Original works are framed and crated in the store for delivery and are accompanied by a certificate of authenticity signed by the artist. 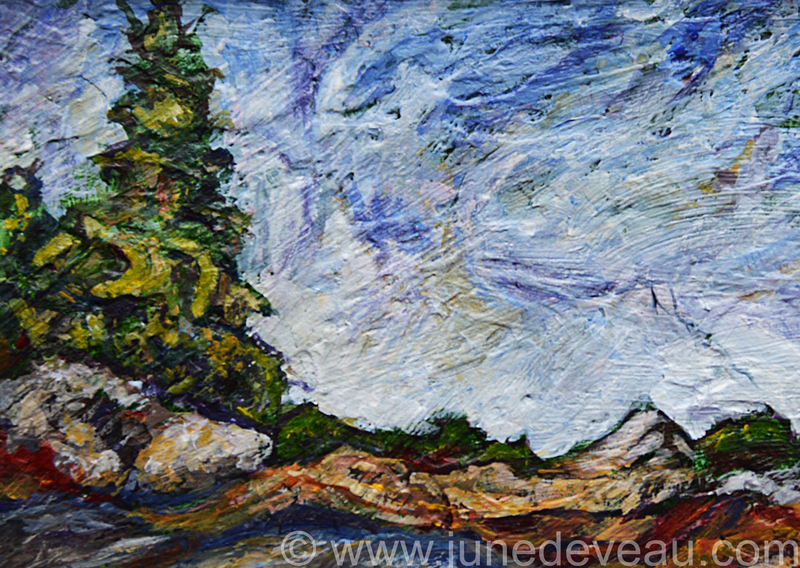 Browse the online gallery of Original Artwork by June Deveau to witness how the artist uses light, form, colour and movement to evoke emotion. After painting various subject matters for many years, June discovered that she was especially drawn to transforming stories of her Acadian heritage onto canvas, many of which are now available as digital reproductions. All digital reproductions are created as high-resolution scans using pigment ink on matte paper and acid-free mats for long-term archival. June has been painting since 1980 and has studied with several well-known artists. She’s also participated in various solo and group shows across the Nova Scotia and New Brunswick. Peintre depuis 1980, June Deveau a étudié avec un grand nombre d’artistes bien connus tout en participant à de nombreuses expositions, seule ou en groupe à travers la province et au Nouveau-Brunswick. Her work is displayed in private collections in all the provinces of Canada, in France, Japan, England, and also grace countless homes throughout the United States. Les oeuvres de June Deveau sont exposées dans des collections privées de toutes les provinces du Canada, en France, en Angleterre ainsi qu’aux État-Unis. After painting various subject matters for many years, I soon discovered that I was especially drawn to transforming stories of my Acadian heritage onto the canvas. Subscribe to receive emails on new artwork, special sales and more.